Finally I have somewhere to work from that isn’t my home. 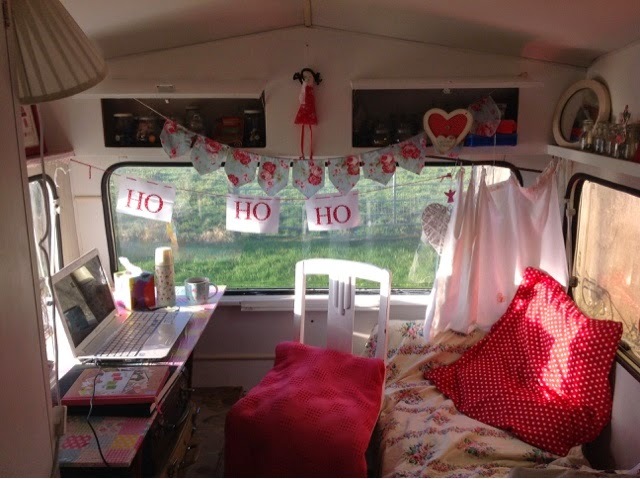 Today is my first day working from the caravan … how glad am I that her sale last year fell through! Not a great start at the mo as my head feels like it’s in between two bumping cars (sinuses) but it’s a BEAUTIFUL day here in Ireland and the sun is beaming in on top of me! So much so that I’ve had to put up some boards against the window to keep the glare off my laptop screen. What a great complaint on the 6th January! I’ve got my winter woollies on though and the caravan is as snug as can be thanks to Seamus (electrician) who installed proper working plugs so now I can have a heater on without having cables running through an open window. So what’s everyone got planned for 2015? How are those resolutions going? This year I’m focusing on trying to get my home back. I started last year but then it fell by the wayside. Working from home has so many advantages but for me I’ve had enough. 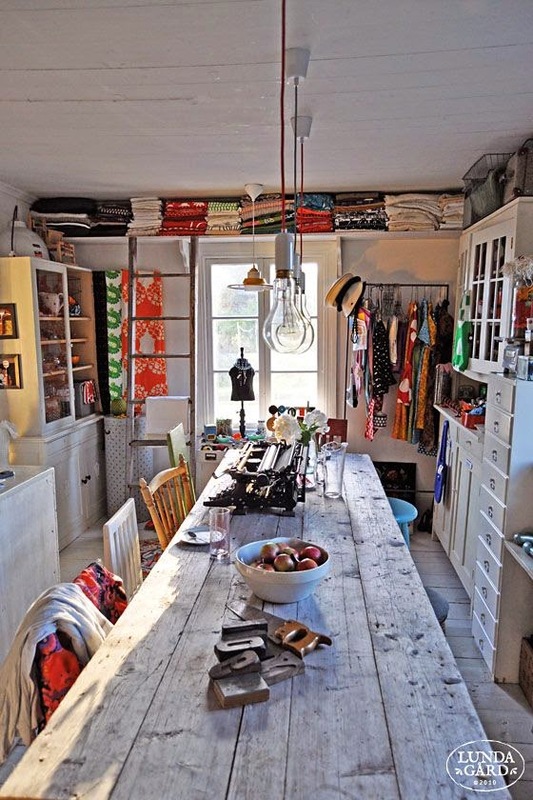 I’m tired of sharing my kitchen with my work and the rest of the cottage too! I really want to separate the two and have my home back. Alas it’s not that straightforward. 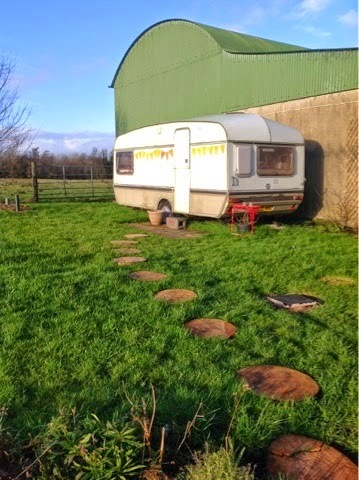 Renting a work space is too costly just now so I’m working on using the caravan as a work space for the short term and the long term goal/wish/dream is to convert a shed beside the cottage into a proper studio/workshop etc Needless to say it’s on the vision board (and has been for a while)! In the meantime my pinterest board is providing lots of inspiration whilst I also work on funding the project. 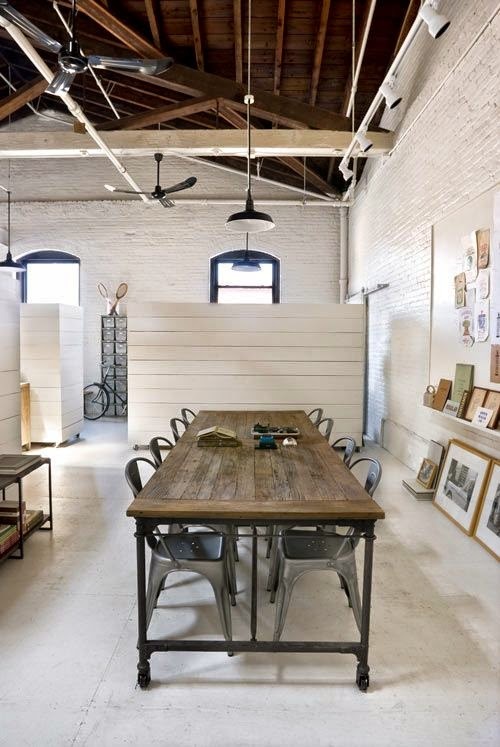 I know it’s totally not my usual style but I’m in the mood for a really clean open space and everytime I look at my pinterest board this one really stands out. I’m sure I’d have it filled with polkadots and bunting in no time! I think it’s the long table that really appeals to me for workshops. Aside from that I’ve got lots in the pipeline for 2015 and am enjoying preparing my Vision Board. 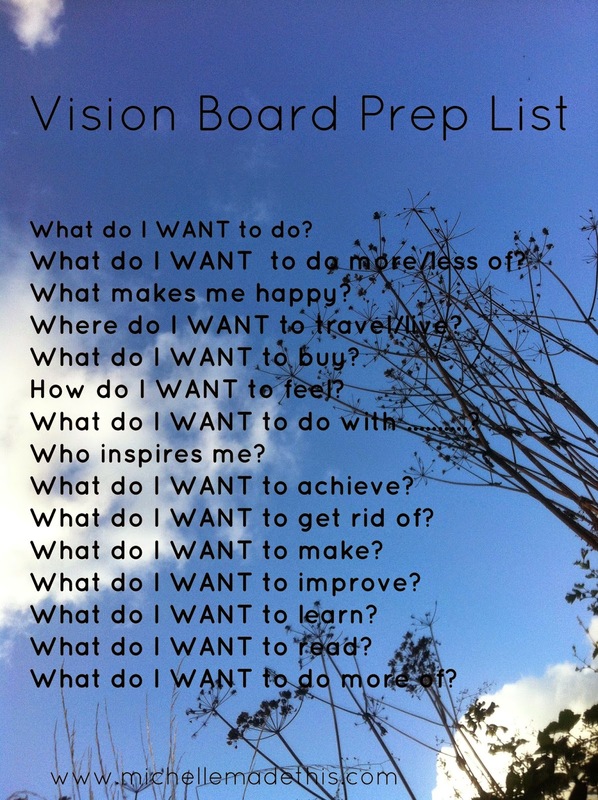 Do you create vision boards? If not I highly recommend it. Here’s a little something to get you started. Just sit down with these questions and either think about your answers or write them down on paper. Then use google images or magazines to find pictures that relate to your answers and simply paste them on a large piece of card that you can pin up in your home. Ideally put it somewhere where you will see it everyday. I run a few workshops on creating your own vision board too. More details here on my website. Happy New Year Michelle! Your caravan looks so cute and cosy. I have never done a vision board before but you've convinced me to give it a go. Hope all your visions become a reality in 2015!